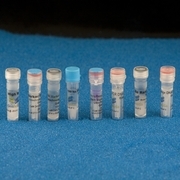 The general aim of cloning is to express specific proteins in vitro in order to study genes and gene manipulation effects. The process starts with cloning a gene of interest (GOI) into a plasmid that contains the necessary elements for propagating the plasmid/GOI in bacteria, and later expressing the GOI in either prokaryotic or eukaryotic cells. 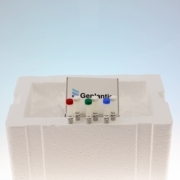 Genlantis offers a wide selection of tools that fulfill most needs of general cloning and expression. On the cloning side, a wide array of plasmids is available for cloning your GOI on its own or with a detection and purification tag (N- or C-terminal). Plasmids are also available that express a series of reporter genes ̶ like β-galactosidase, Luciferase, GFP, CAT, SAP and others ̶ in mammalian cells. Other more specialized plasmids make it possible to clone and express a GOI as a direct fusion partner with a reporter gene, such as Luciferase or GFP, therefore enhancing the ability to track GOI protein function in vitro. On the bacterial protein expression side, a wide choice of competent cells is available for either the propagation of plasmids or for basic protein expression. The SmartCells� and TurboCells� Chemically competent E. coli are used for basic plasmid preparation, with the TurboCells offering an innovative 5-minute transformation protocol that saves time and effort. 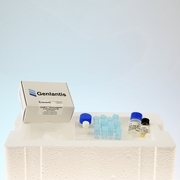 For bacterial protein expression, Genlantis offers many BL21 strains in either the standard chemically competent format, or the more rapid TurboCells format. Genlantis continually innovates and provides novel and improved strains, such as the recently introduced SoluBL21� expression strain, which increases more than ever before the likelihood of expressing exogenous genes in a soluble form in E. coli. Genlantis also offers a wide and extensive variety of mammalian cells that are useful for transfecting cloned genes into. 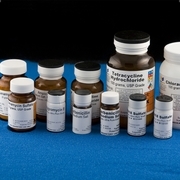 The Expresso� brand of frozen mammalian cells provides users with a line of common laboratory cell lines that are specifically optimized for transfection work. 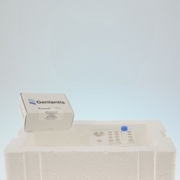 Another selection of frozen primary cells, under the PrimaPure� brand, offers a wide array of frozen primary and hard-to-find cells. Additionally, the NeuroPure� cells are a line of highly pure and freshly isolated neurons and brain sections from either rat or mice species. Our latest addition, the ImmunoPure� cell collection, provides scientists with a line of frozen and highly pure peripheral blood mononuclear cells. With this kind of variety of plasmids, cloning and expression bacterial strains, and multiple lines of mammalian cells, Genlantis is able to provide high quality innovative tools that researchers need to perform the most common cloning and expression experiments.